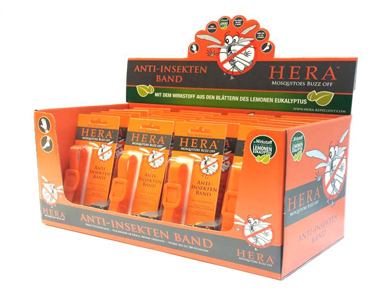 The technological innovation against unpleasant insects. Highly effective and with a new, modern design, the practical HERA® bracelet reliably keeps mosquitoes and insects away with a fragrance barrier. Upon contact with oxygen, the active ingredient on the band crystallises (quality feature). HERA® uses the power of the active ingredient EC oil (H/C) from the leaves of the Lemonen Eucalyptus, which is obtained by careful steam extraction from the leaves and is a complex process. The practical and highly functional tapes are easy to use, safe for the whole family, and suitable for repeated use. Suitable for children 6 months and up. HERA® can be used anywhere and anytime. 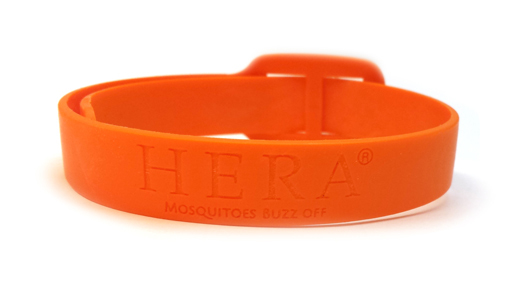 Wear the fashionable HERA® bracelet on your body, for example your wrist or ankle. It can also be easily attached in the immediate vicinity, for example on your waistband, backpack, table leg, rear view mirror, bicycle, etc. 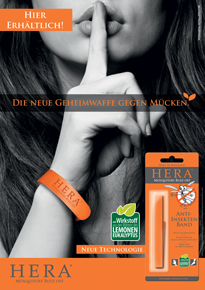 HERA® is always at hand when you’re out and about in your handbag, glove compartment, golf bag, or sports bag. The band can also be optimally attached to a pushchair and thus facilitates preventive protection for children. It is also effective overnight from the bedside table or bed frame. 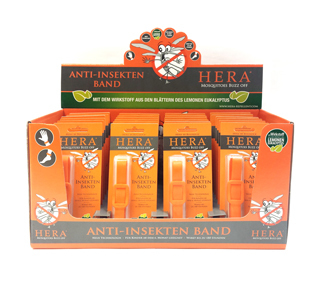 The effect can be extended by putting HERA® back into the resealable package after use. Tip: It is best to always wear the band when you are outdoors during insect season. 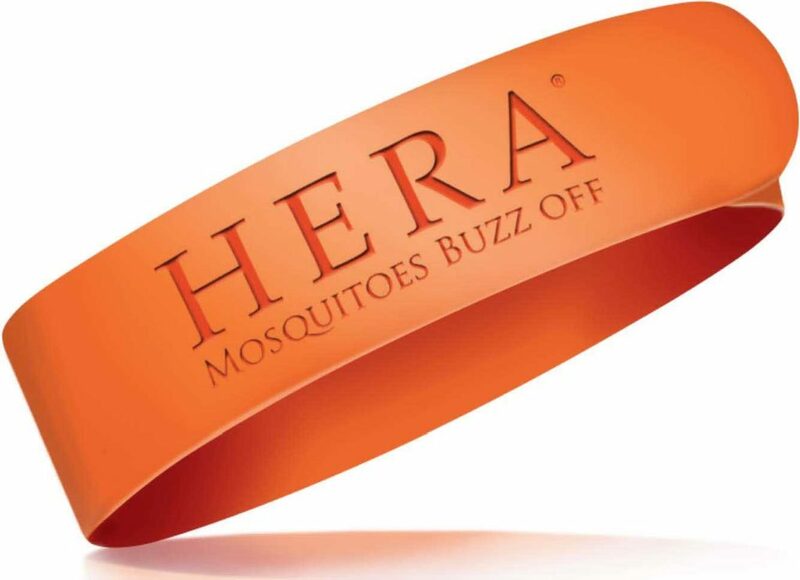 The HERA® bracelet releases the fresh scent of Lemonen Eucalyptus for hours (Eucalyptus Citriodora oil hydrates, cyclises (EC oil (H / C)) and reliably keeps mosquitoes, ticks, and other insects (tracheal respiration) away for hours via this ACTIVE FRAGRANCE BARRIER. Adults, cyclists, campers, hikers, athletes, postal workers, police, office workers, models, mayors, lumberjacks, lovers, fiancées, married couples, and those who would like to be. HERA® can be used by the whole family. Exceptions are people with known allergies to cosmetics.